This Grey Knight Army does not fill the minimum force organisation for a small battle, so is used as an allied force. 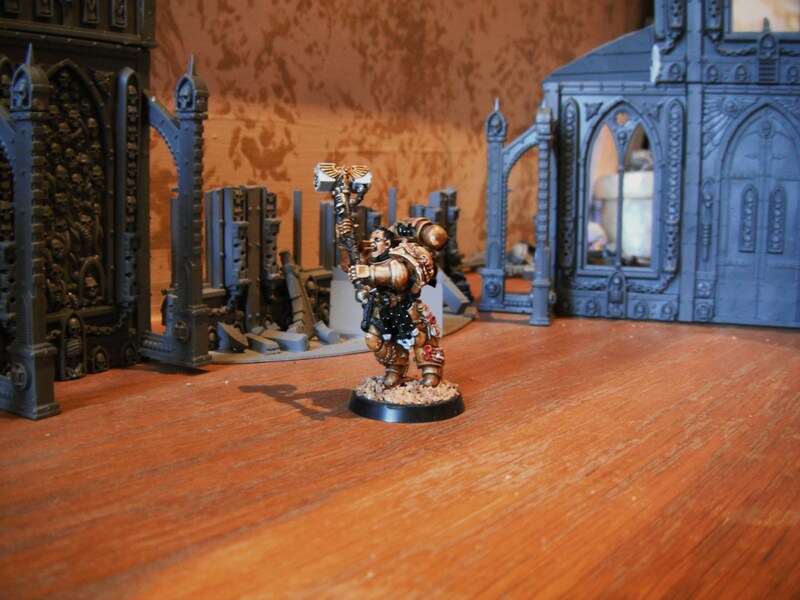 A single Inquistor leads the army armed with a thunder hammer. He is accompanied by body guard of an original Rouge Trader Adeptus Arbites. A single squad of rouge trader Rogue Trader Grey Knight Terminators fills a troop choice. The squad is lead by an original 1989 Rouge trader Grey Knight Terminator. A choice of 3 assassins provides an Elite choice. A five man Grey Knight Squad will fill the 2nd troop choice for the army. Limited Edition 2009 Games Day Space Marine Captain. 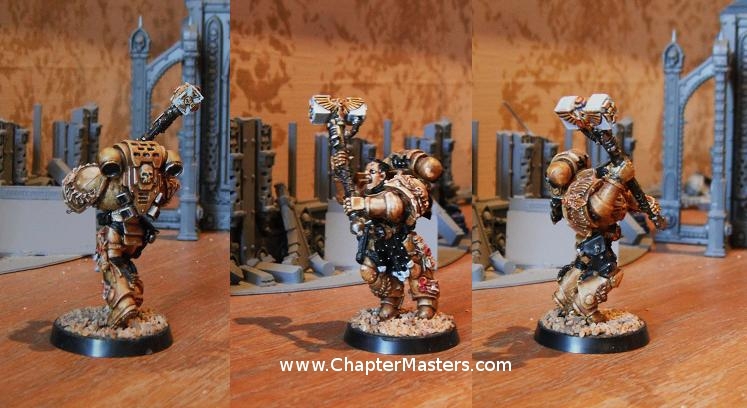 This model has been left gold so it can be used at either an Inquistor or a Captain for any Space Marine Chapter. Rouge Trader Mk1 Adeptus Arbites. 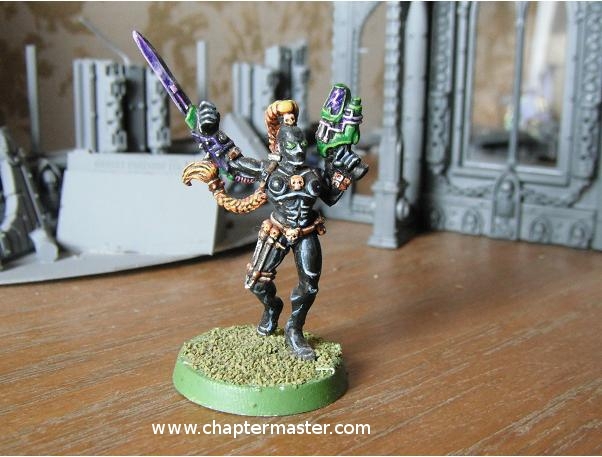 These were painted in 1993 and are armed with shotguns and bolters. The squad leader is armed with a Power Mule and bolt pistol. These were purchased in a games workshop end of line January Sale a very long time ago. 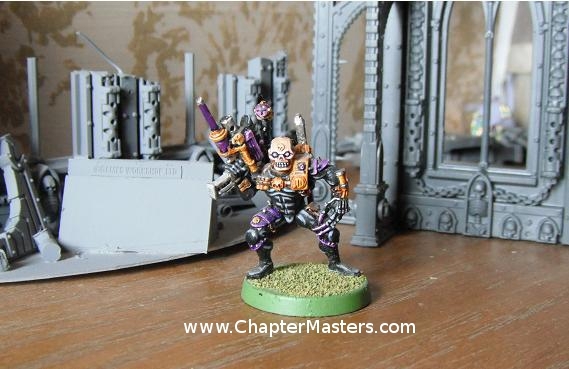 These are the original Callidus, Eversor and Vindicare temple assassins which are still available from Games Workshop almost 20 years later. All of these Assassins have been given ultra highlights to make there cloths look like leather. The phase sword has been blended between Warlock Purple and skull white.